Let's Go Birding is excited to get folks outside to see all of nature at its finest. Destinations are planned according to the seasons and maximum viewing opportunities for bird species. Trips are organized in various ways including partnering with other organizations and through area festivals, fundraisers and outdoor events. Who attends - All birding levels are welcome, but Let's Go Birding strives to provide a welcome atmosphere for the beginning to intermediate adult birder. Let's Go Birding attracts the nicest people. This non-intimidating group environment provides educational benefits to the birder that is trying to learn habitat variations, migration patterns, species identification and locations. Safety - Some people do not feel comfortable birding the open spaces alone. Birding trips provide the opportunity to bird places you have never been and with other people that share your interest. Besides, it's a lot of fun. 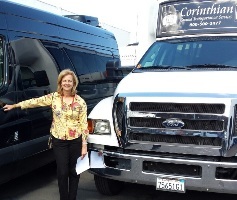 Transportation - Starting in the fall of 2014 Let's Go Birding and the Los Gatos Birdwatcher will provide transportation using Corinthian Ground Transportation Services. This will allow everyone to ride in a luxury, air-conditioned bus with large viewing windows. Having our own professional driver also means no one has to drive, we'll have fewer cars on the road, it will be easier to pull over when viewing a species and we'll have added security as the driver will not leave our bus. The trip fee will include transportation, gasoline and bottled water. 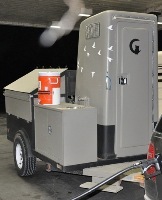 We'll still get to tow the "bird-a-loo" to areas that do not have facilities. All the conveniences of home - Let's Go Birding in partnership with the Los Gatos Birdwatcher re-purposed a retired CalTrans port-a-potty. It is now an ideal piece of birding equipment affectionately called the "Bird-a-loo". It houses spotting scopes, stores extra supplies, ice water, a first aid kit and has a washing station. This means we now have a clean bathroom to use no matter where we want to go birding! This is a little later in the season to visit this California hot spot. We will be on the look out for wintering species that have not yet left, while we look for spring arrivals. The breeding has started so we will be looking for pair bonding, nest building, breeding plumages and song. Biologist Ryan Phillips will be co-leading this adventure with Lisa. Fee: $60 Includes transportaion. 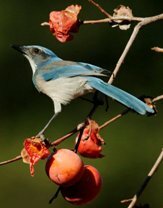 This trip is planned through the Los Gatos Birdwatcher. To sign-up please call the store at 408-358-9453. We will be heading out to the coast in search of Spring migration activities. The breeding has started so we will be looking for pair bonding, nest building, breeding plumages and song. Biologist Ryan Phillips will be co-leading this adventure with Lisa. Fee: $60 Includes transportaion. 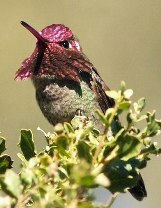 I will once again be leading a guided fundraising team for this year's Santa Clara Valley Audubon Society birdathon. The Persistent Picidaes will look for 100 species in half the time as we'll try and end our day around lunch. All levels are welcome to join the team. Contact me or Santa Clara Valley Audubon with questions. As of November 30, I took over as the owner of the Los Gatos Birdwatcher, located in the King's Court Center - 792 Blossom Hill Road in Los Gatos, CA. Let's Go Birdig, Inc. will be the tour division of the store. 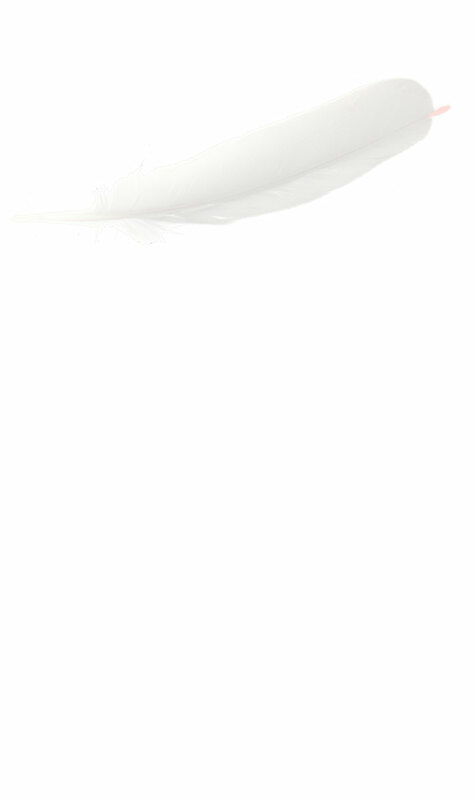 I am re-doing websites and joining the two and those updates will be happening in the next few months. Stay tuned. More tours will be scheduled later. Thank you for your patience.